Are you looking for the ways to reduce your moving expenses? A recent survey states that the people using moving companies’ services for the relocation from one place to another are on the rise with each year. People have been using this service to keep them away from the hassles of all kinds during the relocation. With the rise in the demands of the moving companies, the number of Moving Companies is also on the rise. This, in turn, has given a good competition scenario in the market, thus pushing benefits to the customers. However, to ease the pressure on the customers, the internet world is flooded with several helpful tools for the proper guidance to complete the process of relocation. Moving Calculator can be very helpful to get an estimate idea about your expenses. It allows you to calculate the prices of the moving/relocation in the best way and help them to better prepare them both mentally and financially. 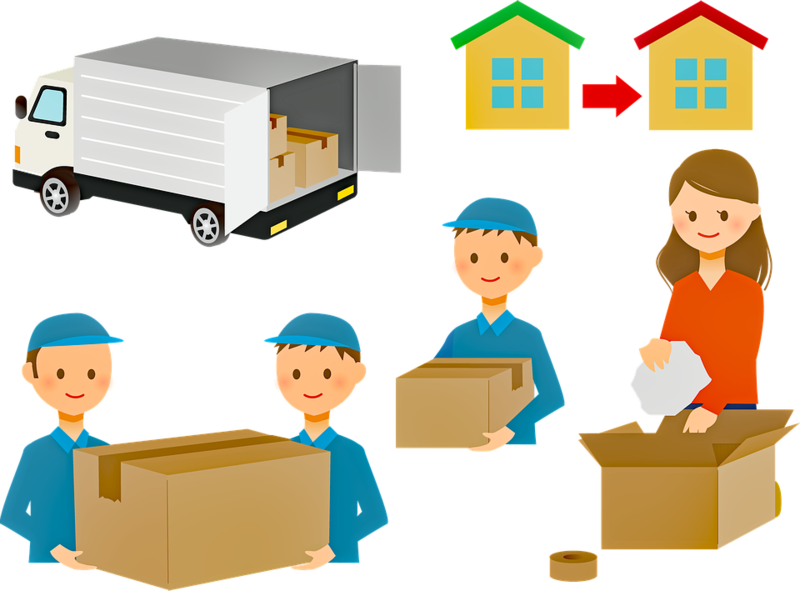 The Moving Calculator is a tool, which takes few variables in the form of Distance, estimated weight and size of the items to be moved along with the date of relocation and offer you an approximate cost of the relocation. It has been seen that the people most often don’t enter the accurate variables as the facts like weight and size are sometimes difficult for the people to judge. You must keep in mind that the overall cost estimates as shown in the Moving Calculator is the result of the inputs as given by you and thus cannot be taken as the final costing. The more accurate inputs you provide, the better results get displayed. We also advise you not to take the costing estimate as the final pricing and the real pricing may vary as per the choice of the moving companies involved. The pricing as reflected in the Moving Calculator is just an idea of an approximate pricing, which can help you in preparing yourself for financially and mentally. The best part of the Moving Calculator is that it offers you an idea of what does it cost to relocate from one place to another. The Moving Calculator is nothing, but a tool which gives you an approximate idea based on inputs. Getting a rough idea of the moving costs involved helps you in preparing yourself mentally and financially. To start with the Moving Calculators much before the actual relocation gives you an idea for the entire family on how much to set aside for the relocation services and what can be done to reduce the cost. You can plan in a better way to reduce your overall costing in relocation. When you have a figure in front of you, you can better negotiate with the Moving Companies involved in the business. If the charge is too less, the quality of services should be checked twice, while if the charge is on the higher side, the negotiation can be done to reduce the pricing for same. Getting a better insight on the Moving cost helps you in deciding which company to choose from. The Moving Calculator through Moving Authority is a perfect way to deal with the Companies involved in the business. You can check the calculator as provided by the Moving Authority and can better plan for your relocation within budget! Getting an idea on what is an approximate budget for your relocation from one mentioned source to the destination helps you in summarizing on what additional costs the Moving Companies are charging from you. In fact, it’s not possible to calculate the additional costs through the calculators, but when you coordinate with the professional movers in this regard, you can get a better idea. Through Moving Authority’s Moving Calculator, you can budget for the relocation, thus coming up with a better planning. Helping you out in better analysis of the cost involved in the relocation, you can prepare yourself and can guide your entire family accordingly. Using Moving Authority’s Moving Calculator, a simple tool gives you a lot in getting an overview of the costs involved in your relocation and the best part is that the tool requires no personal data. However, be aware that the costs appeared in the calculators do not include any additional pricing, in the form of taxes, or any other custom fees and others. Assuming smoothest pick up and drop off, the results are being displayed at Moving Calculator! Do you want to share your take on trim the moving costs? Please share with us.